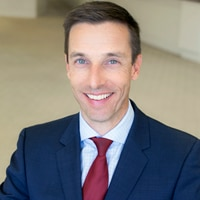 John Kontor, M.D., serves as Practice Lead at Clinovations within Optum Advisory Services, where he plays a pivotal role in leading electronic health record (EHR) implementation, EHR optimization, and population health/value-based operations efforts. John leads the firm’s efforts with large pharmaceutical companies, advising them in the use of health information technology and analytics to improve screening, diagnosis, and evidence-based treatment and adherence for multiple conditions across a variety of partnerships, integrated delivery networks (IDNs), providers, patients, and payer networks. John’s unique perspective comes from his experience serving as an executive in multiple roles at IDNs, including chief medical information officer (CMIO), vice president of medical affairs, and medical director of an employed physician network. While serving as CMIO, he led the Epic EHR implementation in 14 hospitals and in all of the health system’s ambulatory physician practices. His expertise and leadership has helped organizations improve their efforts in quality improvement, clinical and operational performance, and patient safety. John has an extensive background in optimization of workflows, technology, and clinical content to drive clinical transformation across large health systems and organizations. Prior to beginning his consulting career, he practiced internal medicine for 14 years, focusing on ambulatory chronic disease management and inpatient critical care. John received his doctor of medicine from the University of Florida in Gainesville and his bachelor of arts in health policy from Boston University.